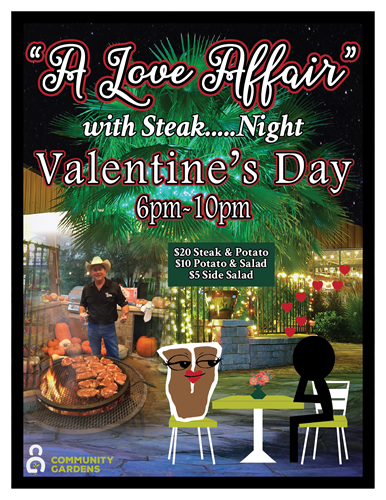 Join us for another delicious steak night on Valentines Day! Come with your sweetheart or come with alone! Either way, your mind will be blown!